5 - Mix in the egg and milk until the ingredients are starting to come together and then start to bring it together with your hands (this is my favourite part! To serve simply cut in half, spread over a generous amount of clotted cream and top with the fresh fruit of your choice. As you can see we had raspberries and gooseberries as they were what we had that was ready in the garden but you could also use strawberries, blackberries or any fruit that takes your fancy! These really have given a twist to the traditional jam topping! Share a foodie post, old or new, add the new #CookBlogShare badge and link up using the "Add Your Link" badge. Comment on the hosts main post. Tweet your recipe using the hashtag #CookBlogShare if you tag @k_phillipson and I will retweet them all. Enjoy the linky party by commenting on some of the other recipes that have joined in. I have also created a Facebook CookBlogShare group where you can share your recipes and food posts. You can find the group here! All recipes will be shared and will be on the New #CookBlogShare Pintrest Board. I look forward to seeing what delicious recipes you have been creating and will comment on them all! 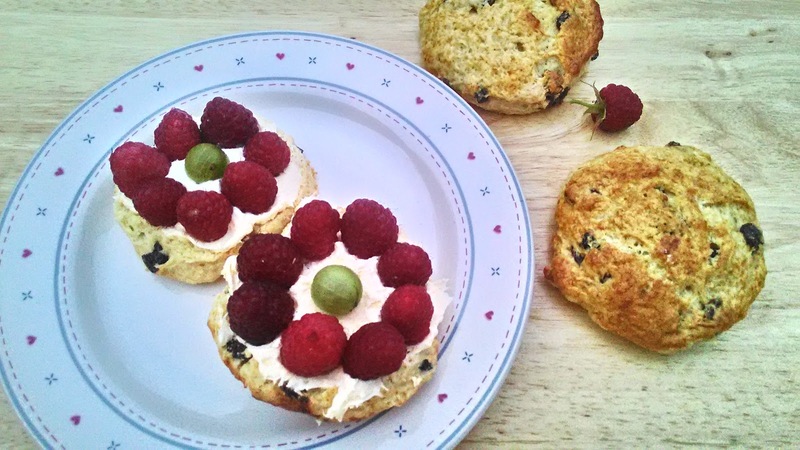 I love a good scone, though I've never tried them with fresh fruit, it sounds delicious! I love scones, although I prefer plain rather than fruit. I've not tried them topped with fresh fruit before but it looks delicious so I'll have to give it a go. Quick thinking hubby there! :) I love a good scone and yours look lovely! 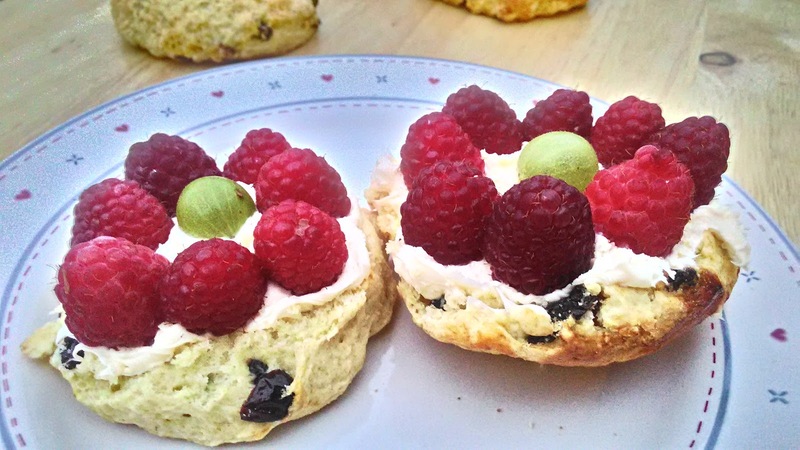 Ahh, scones...love them...and these look great :) Thanks for hosting Kirsty! I must have tried a hundred scone recipes over the years and still not found the 'one'! I've never put honey in so perhaps I should try your one next! Thanks for hosting Cook blog share. First off, this is my first time visiting your blog so a big hello! I'm Sarah. :) I recently joined the cookblogshare Facebook group ( I stumbled across it). Love the linky and look forward to reading and connecting with more food bloggers! 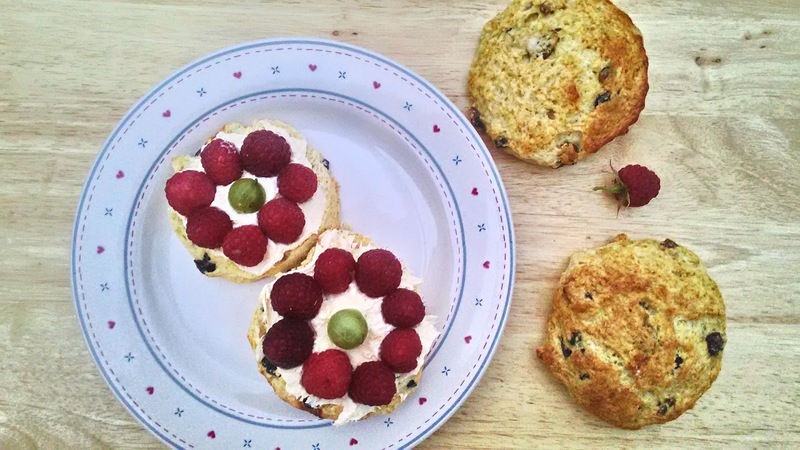 These scones look fab! I love to have one with my tea or coffee, especially with jam or cream. Thanks for the recipe I would love to use it and make myself a batch at home.